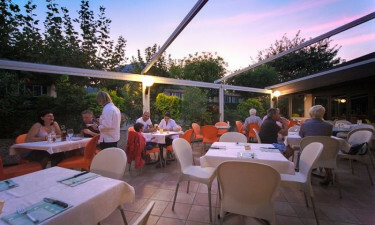 Situated close to the shore of the large and lovely Lake Maggiore, Continental Lido is a leading LuxCamp that the whole family is sure to love. While the kids take part in special activities, adults will be able to unwind in style in the large garden. The picturesque Lake Maggiore can be found just a short stroll from Continental Lido and this is the perfect place for luxury camping lovers to unwind in style. Special sightseeing trips are organised by the onsite staff, while guests of all ages are sure to enjoy playing sports on the volleyball court and football pitch. 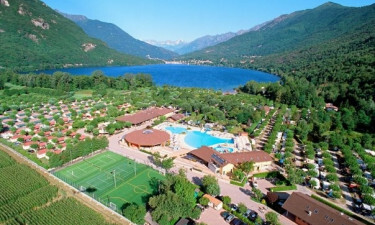 Why choose Camping Continental Lido? 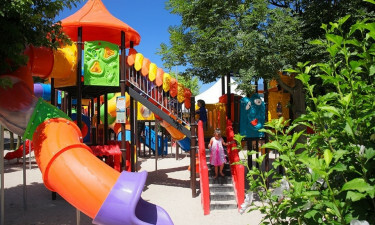 The little ones will be able to have fun and make new friends at the specially organised kids club. Activities are run by staff every day of the week, such as a children’s disco and sports tournaments. Guests who want to get back into the swing of things during their camping holiday are sure to love making use of the onsite golf course. A wide range of other sports can also be enjoyed at Continental Lido such as football and tennis.